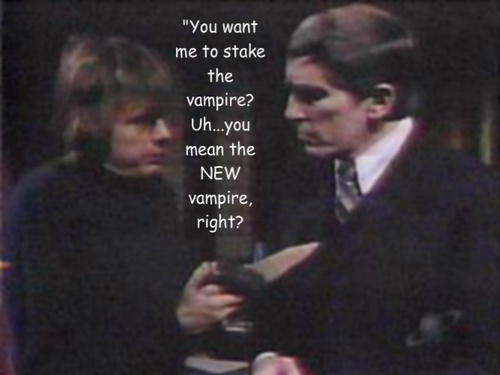 Dark Shadows--Funny Captions. . Wallpaper and background images in the Dark Shadows club tagged: dark shadows barnabas collins willie loomis jonathan frid john karlen gothic supernatural funny captions. This Dark Shadows fan art contains costume d'affaires and costume d’affaires. There might also be costume and costume de vêtements.